THE EQUINOX UNRIVALED. THINK YOU GOT WHAT IT TAKES? 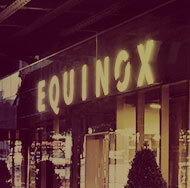 CRUSH THE CHALLENGE AND TAKE YOUR PLACE IN THE EQUINOX UNRIVALED. THINK YOU GOT WHAT IT TAKES? Break out of your comfort zone and into the winner circle. You game? Score the most points and rise beyond prizes and bragging rights to the ultimate glory. 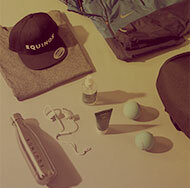 Become part of EQUINOX UNRIVALED. Choose your club. Go head-to-head with other employees and win at all costs. Rack up points by working harder, stronger and longer than ever before. Each club champion achieves unrivaled status and takes home an exclusive prize package. Points are not credited retroactively. Check into a club. Get points. Simple as that. Attend Classes / Personal Training sessions and log workouts twice a day to score big. Play by our rules on the weekend to score points. Challenge is posted on Thursday mornings. Earn 35 points for completing.